Saab 93 2002 – 2014 simple radio removal & install guide with part numbers. Video is kept as short as possible but shows all the key areas to remove the radio,I also show how to get a switched live from the fuse box. Also may need a closed loop isolate if you get interference. Note 2 – If your car have fibre optic outputs from the radio you will be looking at a complete rewire. Note 3 – on active amplified systems you need to connect pin 8 on the larger connector to the amp and in most cases pin 6 on the smaller connector to power the amp via remote output on the radio. 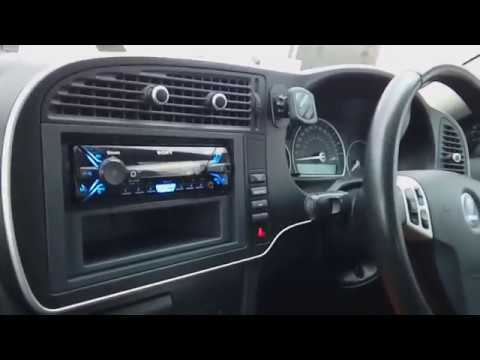 Note 3 – If you have connected your new radio up and have no sound then either your interface is faulty or you have used a normal none amplified cable on a amplified car. It is possible to use a normal cable but it will need adapting so is far better to get the right cable in the first place. IF IN DOUBT PAY A PROFESSIONAL. @pjs could u change my radio mate? I got a 2002 SAAB 9-3 SE Convertible, these radios look like a 2DIN but does not measure as one. Is there a dash kit for an aftermarket radio installation??? Can I know after installing this using your ISO cable did the steering wheel controls work? if not what can you do to get them to work? Hey, i just refitted my Saab 9-3, 2008mod with a new 2-din pioneer player. I got the correct cables and everything, and everything works fine, except the dash speakers. They are not playing any sound, any idea what the problem could be? Thank you so much for this video. My auxillary cable is busted in the radio so I just needed to know how to remove so I can fix the auxillary. Bluetooth radio will be a project later down the road. Awesome video man thanks! Did the volume work via steering wheel as you have no mention of it? Also is there any sure way to tell if the sound system is amplified or not? Is there some "box" that should exist or not under the driver's or codrivers seats or in the boot? Very nice and informative work! Do these stereos need to be "uncoupled" from the car's system before being removed? I've just fitted a Pioneer sph-da120 in my 2007 saab 9-3 and have the factory amp in the boot (not Bose!). The lead i used was a Connects2 CT20SA04 which uses the headunit preouts which on the Pioneer are 4v which apparently match the Saab amp. Sound level is perfect but I feel I have lost some bass from the door speakers compared to the factory headunit. I also get a barely audible click. Am I better using the speaker output along with Line Ouput Converters? Everything else checks out setting and wiring wise! !